The name Gerrit Muntz instantly makes this scribe recall the absolute beating the vocalist took in Metal Maniacs magazine for Sacred Steel’s 2000 Bloodlust album. Back then, the scene didn’t have the overflow of webzines and blogs to chronicle reviews, so a review in Metal Maniacs – scathing or positive – meant a lot. Muntz’s vocals (and we’re paraphrasing) were described as some of the most nasally and annoying vocals in all of power metal, a beatdown the band probably never recovered from in North America. Sacred Steel are still around, though, limited solely to European festival side stages, and Muntz has remained active in the band in question, Dawn of Winter. 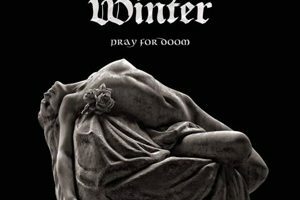 Originally formed in 1990, Dawn of Winter’s brand of doom metal heads right to the hallowed halls of Candlemass, where Muntz does his best over-enunciated Messiah Marcolin impersonation. The Skull of the Sorcerer is a four-song EP that limits itself to Nightfall-esque meanderings, with castle-like riffs, slow-motion tempos, and lengthy songs that are an adventure onto themselves. If Muntz would get the hell out of the way and stop with the dramatics, then some of these songs (i.e. the title track, and possibly “By the Blessing of Death”) would work. However, repeated listens of Muntz’s warbly, shrill vocals detract from what is otherwise, a strong showing of traditional European doom metal. Perhaps our Yankee ears don’t find the sounds of Muntz enjoyable, but someone across the pond must, for he has two stable bands going at the same time. 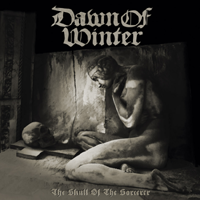 The Skull and the Sorcerer, though, is a bloated, yet musically even-handed display of doom metal. Muntz makes Marcolin look tame in comparison…too bad he doesn’t have a monk’s robe to join in on the fun .